Hostal Sonsoles, Madryt, Hiszpania : Rezerwuj teraz! 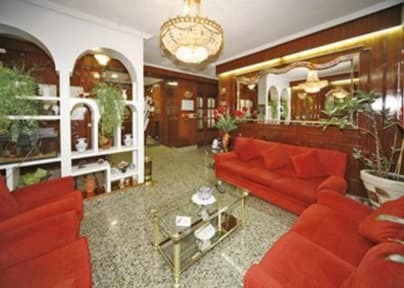 We are a 2 star property located in one of the trendiest shopping streets of Madrid. Amid the Malasaña, famous for its bohemian atmosphere, and Chueca, with an atmosphere more modern s, is located on Fuencarral, in the historical center of Madrid, to discover the place and explore the city at all senses. The area is full of designer clothes shops, vintage clothing and second hand. Fuencarral market with its shops, is full of young locals on the lookout for the latest fashion, or in search of fun and culture. The guesthouse is very simple with a traditional touch. The lobby is rather kitsch, but the rooms are very clean and tidy. There are single, double and triple rooms with bathroom. They have air conditioning, WiFi, free safe for your valuables, telephone, TV and dryer for the convenience of guests. Friendly staff who run the restaurant you can indicate ideal for tapas.